Looking for ways to make your space work for you? If you are, read on because these DIY extra space storage ideas are solid gold! Whether you live in a tiny home that lacks storage space or are simply trying to maximize the space you have – organizing your stuff is a piece of cake with these extra space storage ideas. Build new storage solutions, create more space, and conceal unnecessary items with these amazing DIY ideas! Let’s face it, one of our favorite collectibles are mugs and sometimes take up more space than we’re willing to give up. 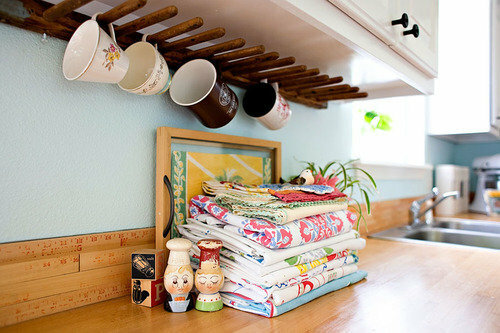 If you have limited kitchen space, it’s ideal to keep your mug collection within arm’s reach. Just like this hanging coffee mug holder! If you’re collecting mugs from all your travels, be inspired by these coffee mug shelves and display your collection artfully. 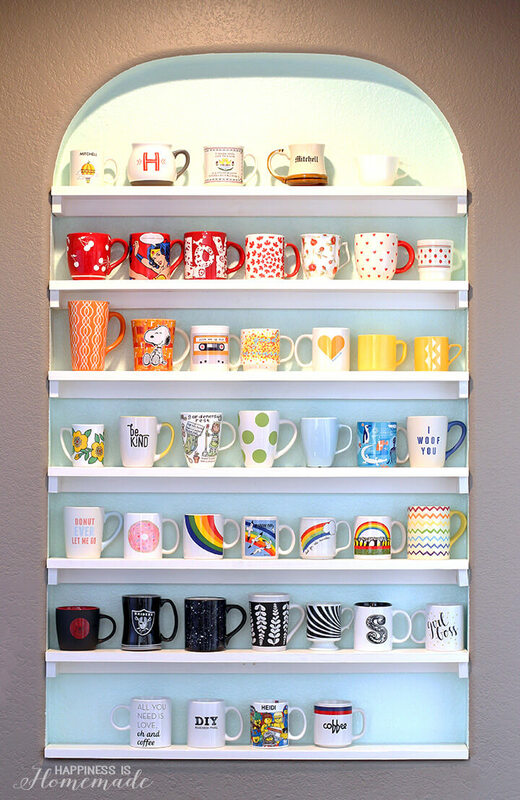 See more awesome ways to organize your coffee mugs storage here! If you live in a studio apartment, you know how it is when space is already running low. But worry not because you can still make your small space work for you. You can have a sofa bunk bed, it’s a great space-saver for tiny apartments. Who would not love to have chairs and tables that fit into a shelf? A brilliant product of Orla Reynolds, which is not only functional but also multi-purpose. Check out more space-saving ideas for your studio apartments here! Once you come home with a bundle of joy, toys also start coming into your house. And more often than not, you’ll end up overrun by toys. It will get totally messy if you don’t have enough storage. 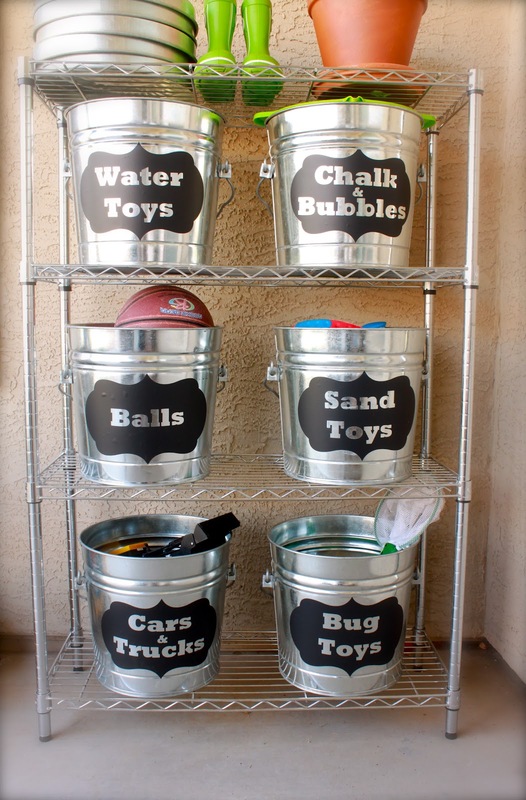 Grab some buckets and repurpose them into a wonderful toy storage. You can label them for easy cleanup. If your little girl has more stuffed toys than she can handle, what better way to keep it organized is this DIY to storage swing. You can double it as wonderful decor too! Check more smart DIY toy and crafts solutions here and get your kids’ toys under control. The garage is the one place where most of us store items we don’t often use or need anymore. And eventually, garage clutter will get out of hand and drives us crazy that even our car won’t fit. Use this nifty hanging idea to make sure your bike is safely out of the way of your car. 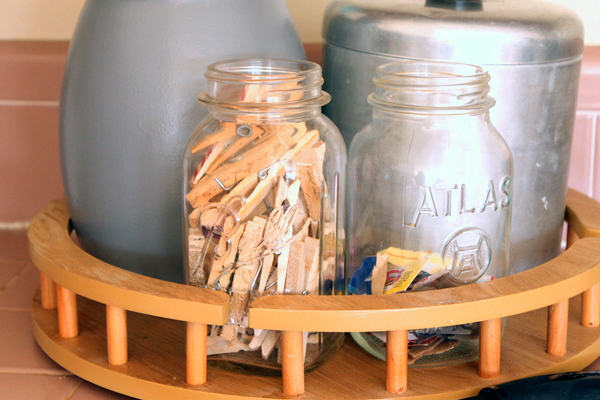 Repurposing empty mason jars into handy storage of your small woodworking gear will keep them within arms’ reach making you work with ease and comfort. Find out more DIY garage storage ideas here and win back your garage functionality! Whatever the size of your kitchen, having a lazy susan in the corner of your kitchen will allow you to maximize your space and keep everything within reach. When organizing our kitchen we often ignore the extra space the back of doors has to offer. 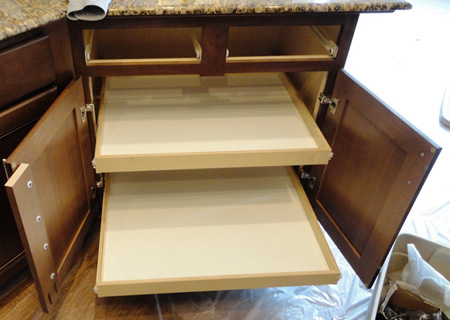 Check out every space of your cabinet back doors because you can hang essentials there. Check our more space-saving kitchen organization ideas here, so that you can make your kitchen clutter-free and help you cook with ease–bringing you that much closer to cooking the best meals ever! Wasting too much time finding the perfect outfit? 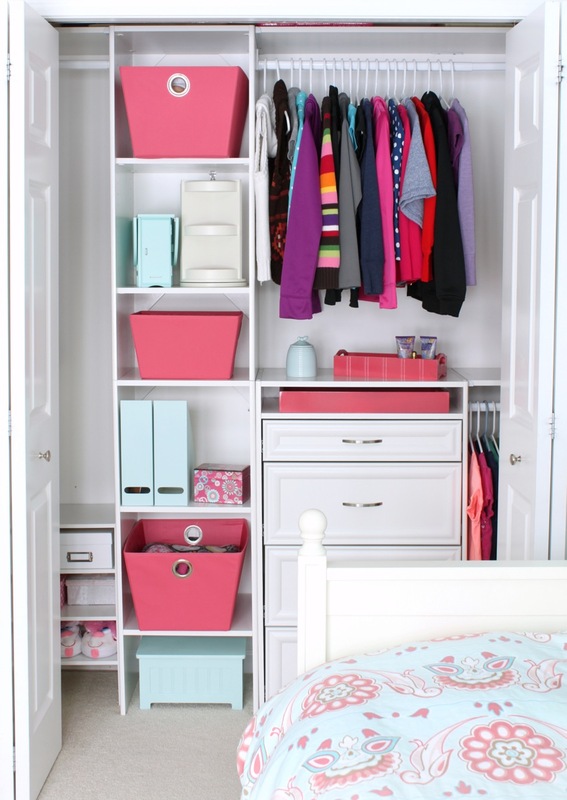 If your closet is a total mess, a closet organizer will work wonders. Linens sometimes take up more space than we wanted it to be. With proper organization technique you can definitely make some space to keep your linens in one place and well-organized just like this wonderful photo. Check out more closet organizer ideas here and give your closet a little makeover and put things in order! Even if you are pinching pennies there are still plenty of DIYs that will fit your budget and accommodate your need to maximize your space. Like these DIY kitchen storage ideas – The Sneaky Knife Drawer to keep away sharp objects especially from children, simply by maximizing your cabinet and installing compartments. Uncluttering the kitchen counter can pose some difficulty especially if you got jars and container for each spice you kept. Issues like these should not be a challenge especially if you can DIY this space saver storage. See more DIY small space storage here, and maximize your small space without breaking the bank. If you’re searching for an imaginative and unique storage solution for your shoe addiction, a ceiling shoe closet might be the one you’re looking for! Or if you have old wine crates lying around, then you can repurpose it into a rustic DIY shoe storage! Check out more clever DIY shoe storage ideas here and show off your shoe collection! If you love Ikea but it’s way too pricey for you and your craft room is in a total mess, you would fall in love with Ikea Kallax Hack: Craft Room Storage, it’s an awesome piece that works as storage and craft table at the same time. Keep your wonderful reading materials all in one place. This hack will not just work for magazines but also for other things. See more Ikea hacks for your crafting space here and cop two or more that would perfectly suit your needs. There are so many ways to extend and improve your storage! Start making your own projects for your home now, and enjoy the benefits in a long run! Are you now seeing all the possibilities? Which extra storage idea will you be using? Let us know the comments below. Want to learn how you can clean your home in 10 minutes? Find out the Homesteading tips 10-minutes to a clean house here! This post was originally published in November 2016 and has been updated for quality and relevancy.